New 2014, serviced after every use. 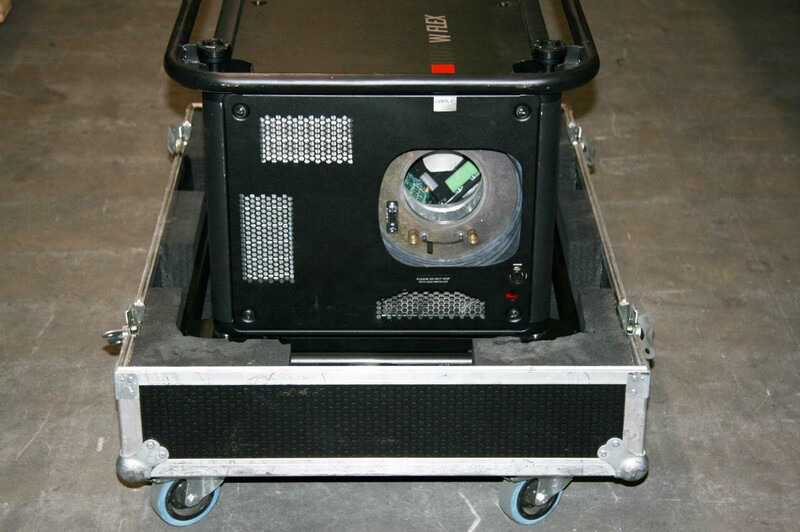 20,000 lumens, WUXGA, 3-chip DLP projector with standard light-on-demand. Thanks to the light-on-demand feature, you can fully tune the light output of the projector to your event: it can be programmed to a light output of 10,000 to 20,000 lumens in 2,000 incremental steps. Rental companies now have the flexibility to offer their customers the light output they want. Building on Barco’s renowned ImagePRO series with AthenaTM scaler, the HDX is equipped with on-board image processing for unlimited and flexible scaling. This boosts creativity and minimizes the time it takes to get sources on screen. The HDX-W20 FLEX’s built-in color LCD screen provides you with all the information you need on your projector’s status and allows you to preview your connected sources. Whether from one central PC or via the Android projector control app for smartphone or tablet computer, you remain connected to the HDX at all times. The HDX-W20 FLEX has a native 3G HDSDI/SDI input, which makes it compatible with progressive HD sources over a single BNC cable. This also means that the HDX allows for digital inputs that don’t come through fragile DVI fiber cables. What’s more, the projectors also feature BarcoLink, enabling progressive WUXGA 50/59.94/60 Hz signal distribution over a single BNC coax cable. 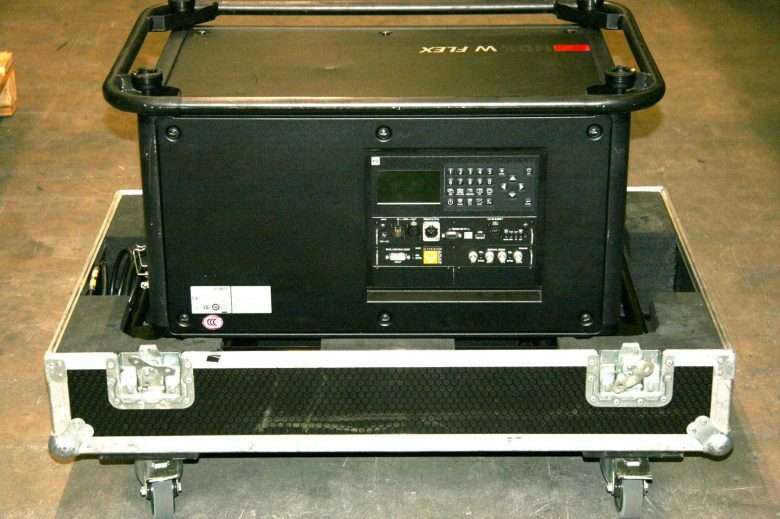 As the HDX-W20 FLEX is the smallest and lightest 20K lumens projector on the market, it can easily be boxed and shipped, and it fits into standard flight cases. It features just five building blocks that can be removed and replaced quickly.